Once they [Cultural Creatives] realize their numbers, their impact on America promises to be enormous, shaping a new agenda for the twenty-first century. In 2000 Paul H. Ray and Sherry Ruth Anderson wrote a book entitled, The Cultural Creatives—a group of 50 million diverse Americans (60% women) who are creating a new culture in America. Cultural Creatives care about the planet, relationships, and servant leadership. They have an organic, systemic, and holistic worldview. They value authenticity, believe in purpose, and live by strong values. They are idealistic, altruistic, and spiritual—not necessarily religious. They are creative and optimistic problem-solvers; they model new ways to live. Cultural Creatives, disenchanted with greed, materialism, and status displays, oppose the abuse of rank; inequalities of race, class, and gender; and the narrowness and intolerance of the Religious Right. Cultural Creatives are ecological thinkers--aware and mindful. They see the interconnectedness and value all of life. They detect patterns and surface and examine deep unconscious beliefs. These people evolve themselves consciously. They reject simplistic linear and dualistic (either/or) thinking and seek to optimize systems through creative both/and thinking. These are the leaders for the times in which we live. Most of us were not born to these values and skills. The psychic reorientation to a new worldview requires courage, service, sacrifice, and intellectual vigor. This journey within is the personal spiritual, intellectual, philosophical, and psychological shift of consciousness people must make if they want to consciously evolve the human condition and create a sustainable world. The outcome of this hard work: A transformation in how we think, feel, and live. The prize for doing this work: A purposeful and interesting life and a deep self-respect-and a better world to leave behind for future generations to enjoy. People who embrace new ways to think and live will unite under a shared purpose: to save the world by creating sustainable organizations, a sustainable global economy, and a planet that endures for future generations to enjoy. Time is running out. Our ecological crisis and national decline require an acceleration of natural processes: a conscious and sustainable fast-forward of human social evolution without harming life in the process. We must think big, move fast, and address all our interconnected problems at once. We created the world of today that no longer works for us. We can change it. Millions of like-minded people surround us. We need to find them, connect with them, and join together to add momentum to this movement. Many of us in the second halves of our lives share these values and beliefs. As post-50 people, we are in a unique position to energize a movement for change with compassion that dismisses outmoded stereotypes for aging and The Sage Companion Project can bring diverse people together and provide a galvanizing center for this movement. Each of us has a role to play. We simply do what we can-- large or small. 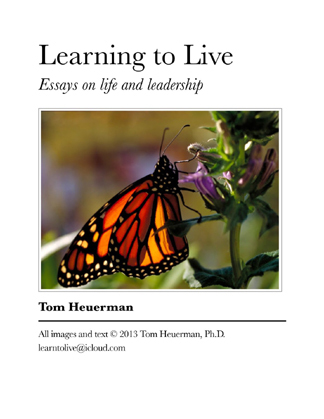 Tom Heuerman's Essays are available in this book and can be downloaded to your desktop or Kindle. How do diverse people spread all over the country and world come together to organize and bring forth a movement such as one represented by the cultural creative group I wrote about in my last piece? 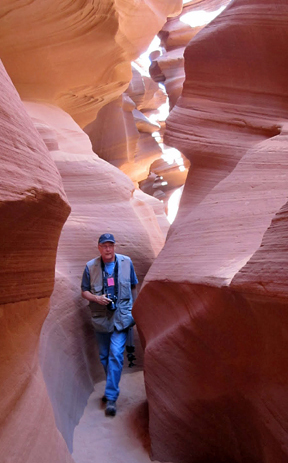 In the article Divided No More Parker J. Palmer described 4 stages in a movement approach to change. 1. Isolated people choose authenticity. 2. These people discover each other and connect for mutual support. private dilemmas into public issues. 4. New reward systems emerge to sustain the movement’s vision. A movement begins when a person chooses authenticity over compliance. We are familiar with the dramatic examples: Rosa Parks felt scared that day in 1955 in Montgomery, Alabama, but she said no. She wouldn’t stand so a white person could sit. Her feet were tired. Her soul was tired. She had endured enough. She would no longer live a divided life. She would not collaborate any longer with those who denied her humanity. She didn’t care what they did to her. She stayed seated. And a movement began. Bill Wilson was a hopeless, defeated, and hospitalized alcoholic facing imminent death. His elemental need to live rose from the deepest depths of his soul. He had a powerful spiritual experience that reordered his psyche. He never drank alcohol again, and began, from that place of despair, a movement that is worldwide and has saved unknown millions of lives. These and others are dramatic stories, but movements do not require heroes, celebrities, or identified leaders. People in the post 50 ages, can say “NO” to age discrimination, to outdated stereotypes, to disrespect and abuse, and can say “YES” to a new and healthier way of living full for all of their lives. The third stage of a movement begins when private concerns become public issues. People find language for their insights and emotions. They see the interconnectedness with what they believed were personal matters with large and systemic public issues. Going public is to put one’s beliefs into the mix of public discourse. People speak to small groups for little or no payment, they give support and share experience via the Internet for no cost, and they share their thoughts via essays and pamphlets. People meet and talk over coffee and go out of their way to help and support others. Names are passed around and connections are made. People do not fight the dominant world view; they abandon it. Change occurs one conversation at a time, and the learning and language begin to permeate the social, cultural, and philosophical systems. As a movement evolves people are first rewarded by the emotional satisfaction of living their values, the joy of creation, the mutual support and affirmation of others, and the excitement of being part of something greater than themselves. But the rewards for new ideas and new behavior must become tangible. This is the only way for the movement to be kept alive, viable, and sustainable. This is the fourth stage of a movement. Members of movements hire one another. They buy one another’s books and other publications. They share on social media. Tangible rewards for movement members seed the dominant culture and establish, formalize, and institutionalize the movement itself. The stages of a movement overlap and emphasis shifts back and forth between stages as the whole of the movement moves forward unstoppably. Each of us is in a slightly different place in the movement positioned to make our unique and authentic contributions. If we are mindful of the stages, we can take responsible actions and accelerate the movement’s emergence. What can I do today that will further the movement to a new way of aging?